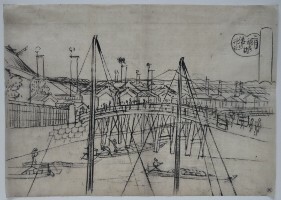 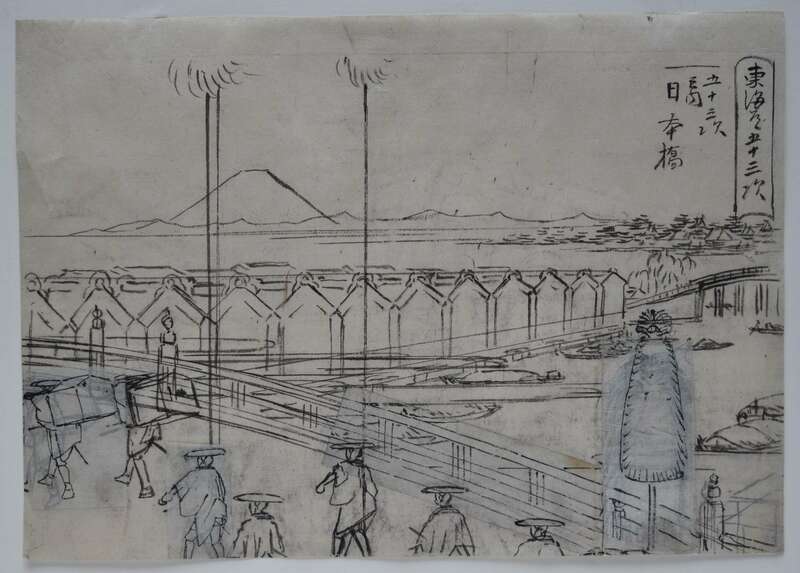 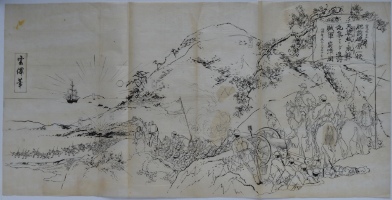 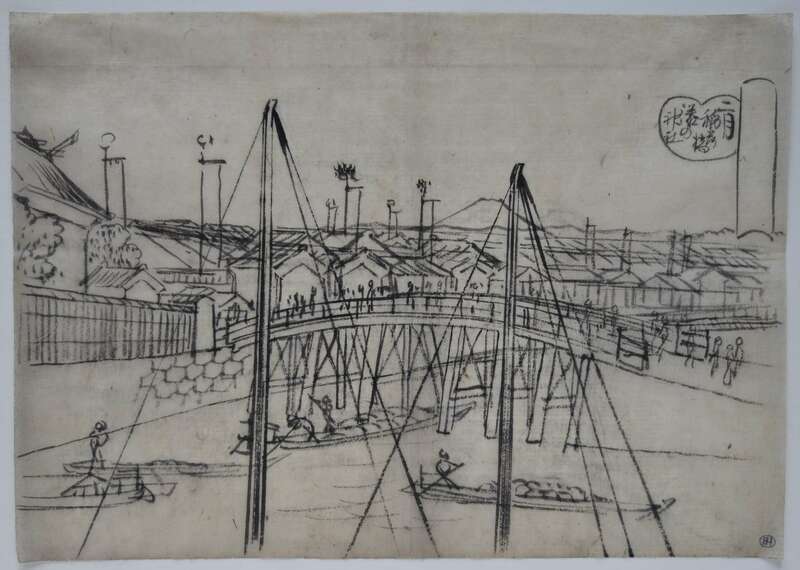 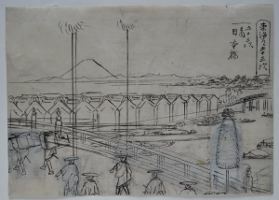 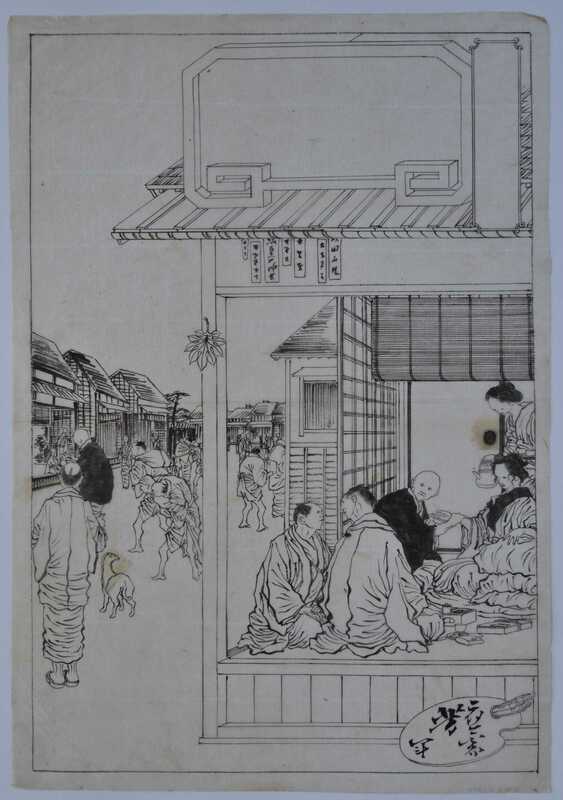 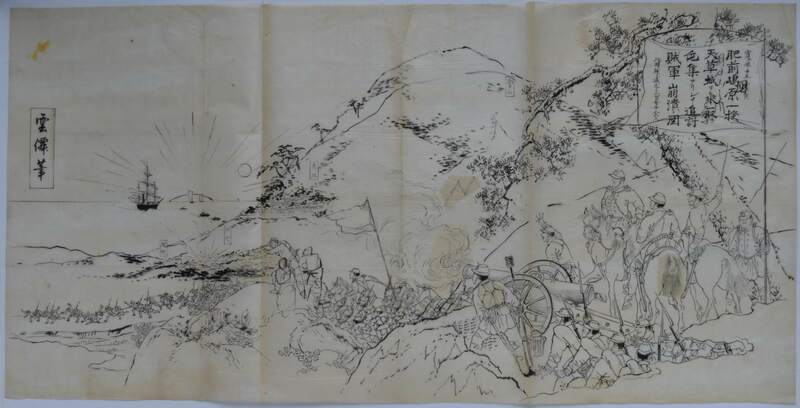 An important original drawing by Hiroshige being an hanshita-e (preparatory sketch) for an unpublished series Toto Fujimi junigatsu, “Mount Fuji Viewed from Edo in the Twelve Months.” This is February showing the Inari Bridge and the Minato Temple; boats in the foreground and Fuji in the distance. 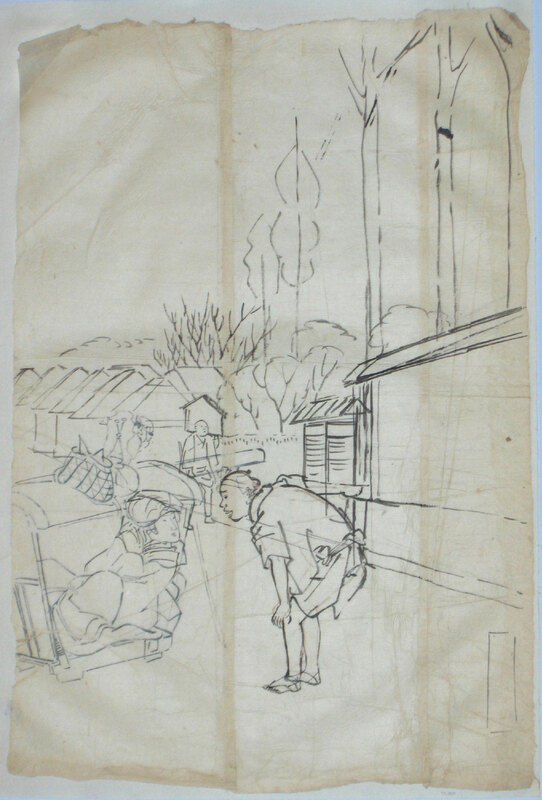 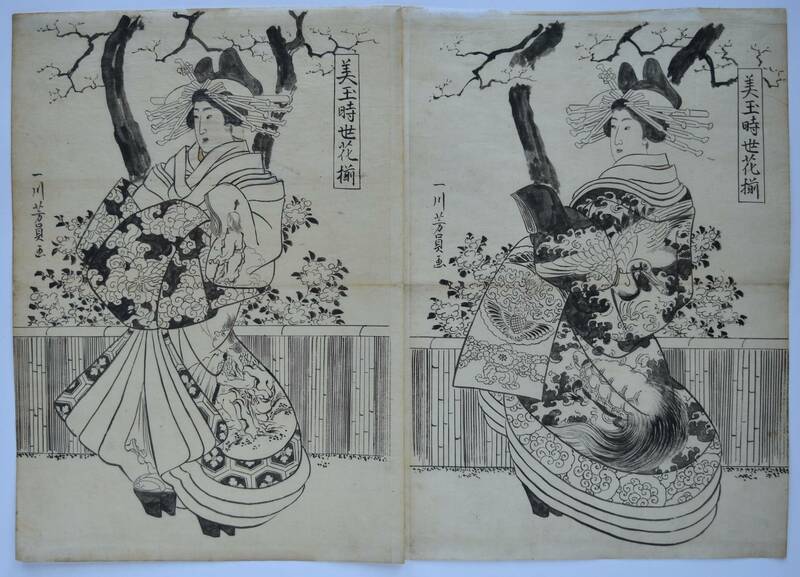 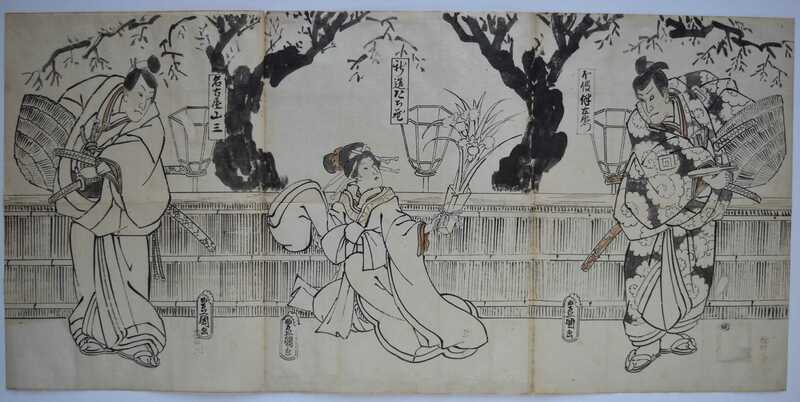 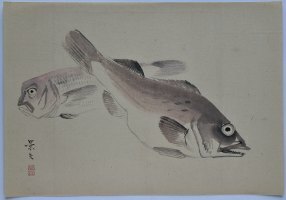 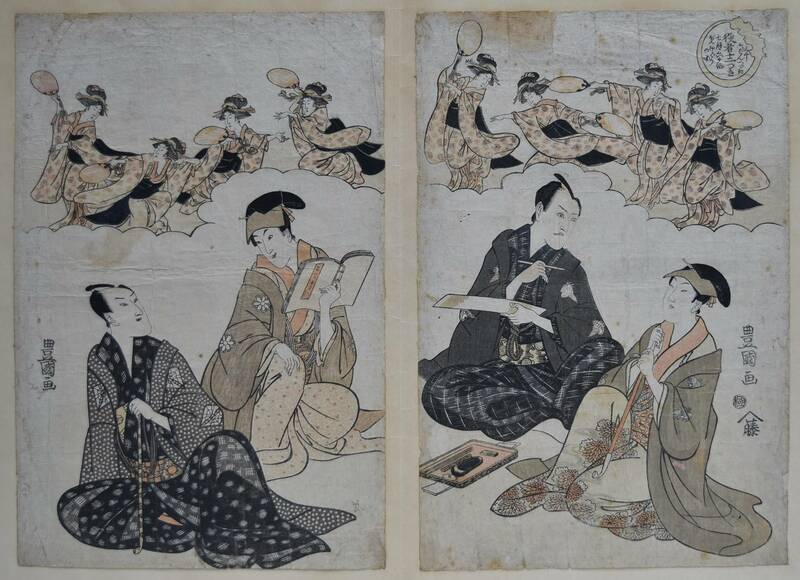 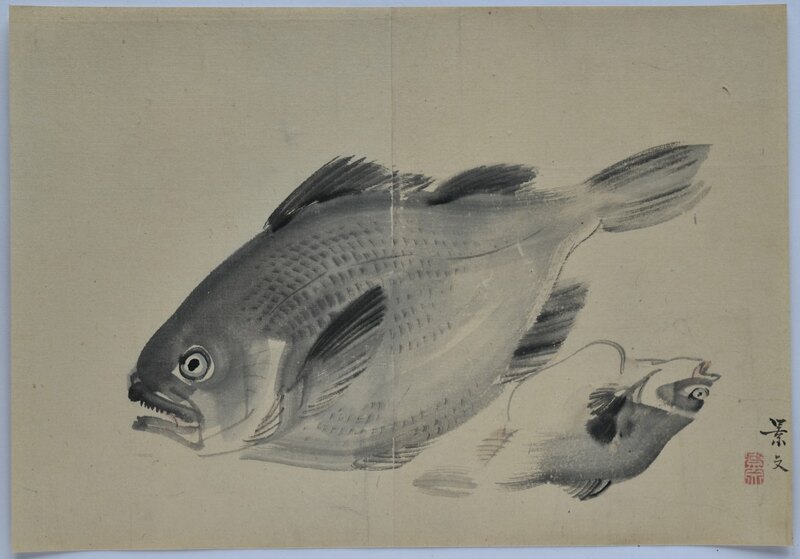 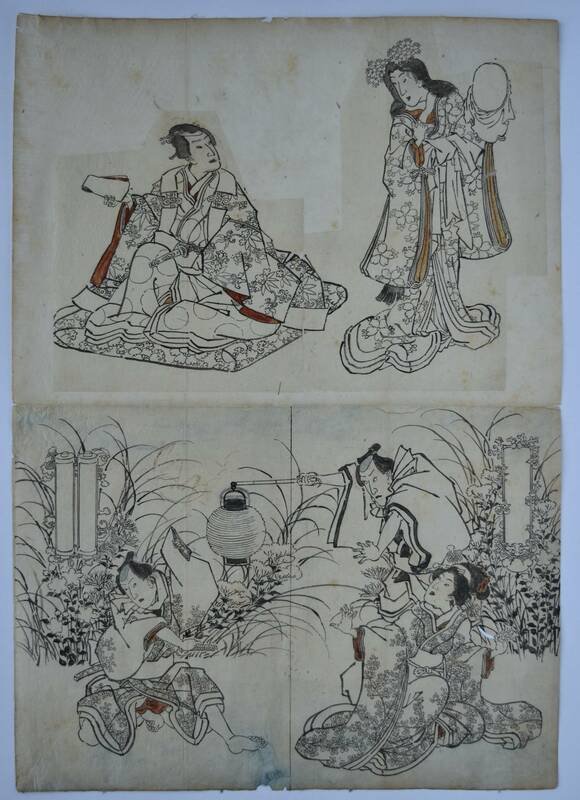 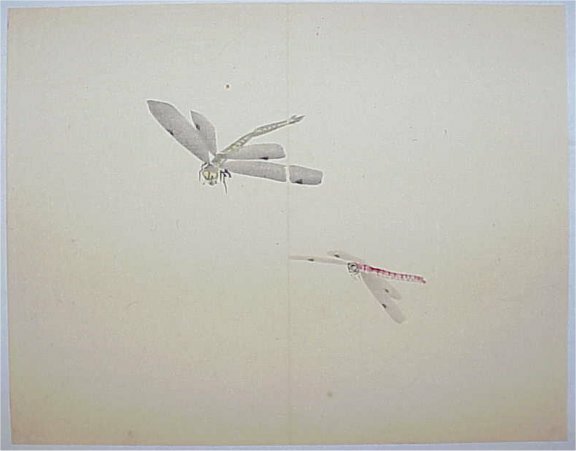 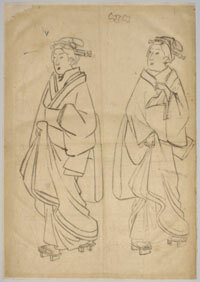 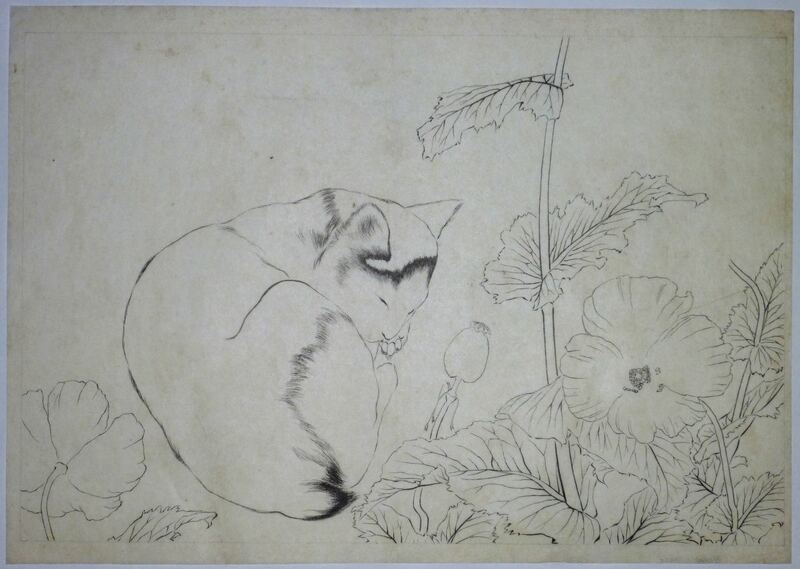 Probably drawn c. early 1850s. 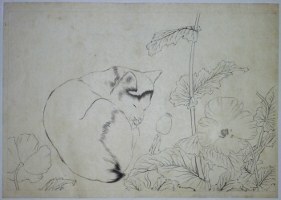 Sumi on thin paper. 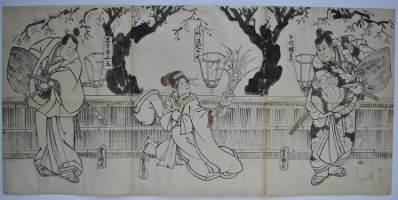 Sold “as is” with imperfections but in good condition. 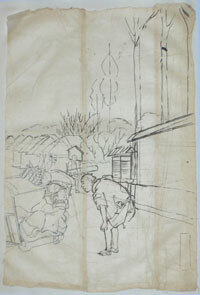 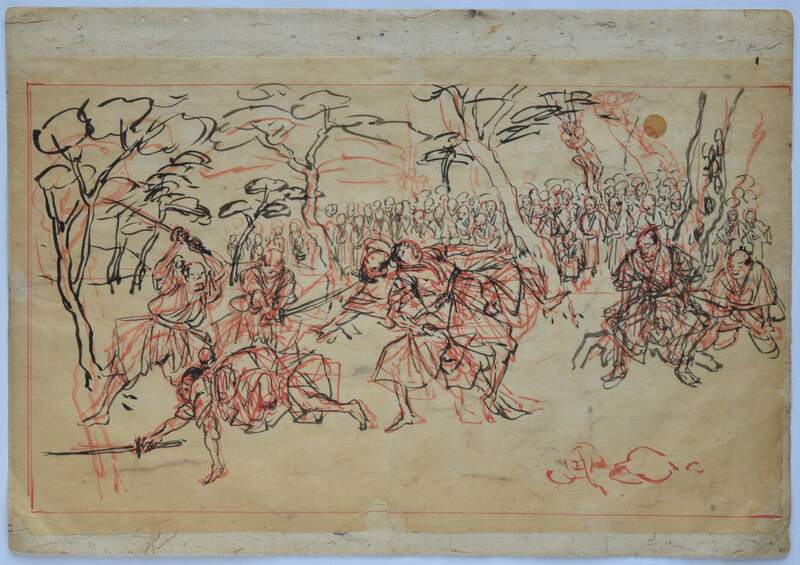 Provenance: Ex Huguette Beres collection, sold Sothebys, Paris, 27/11/2002, lot 179. 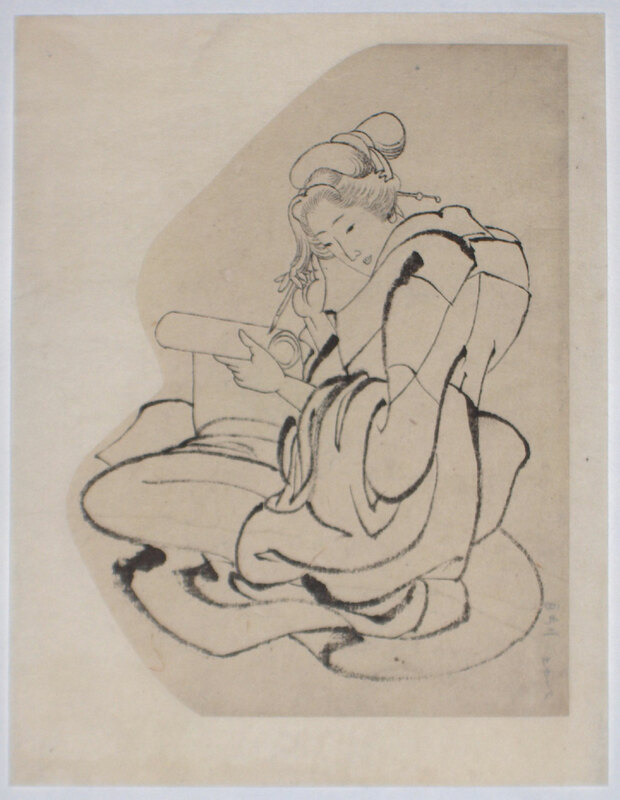 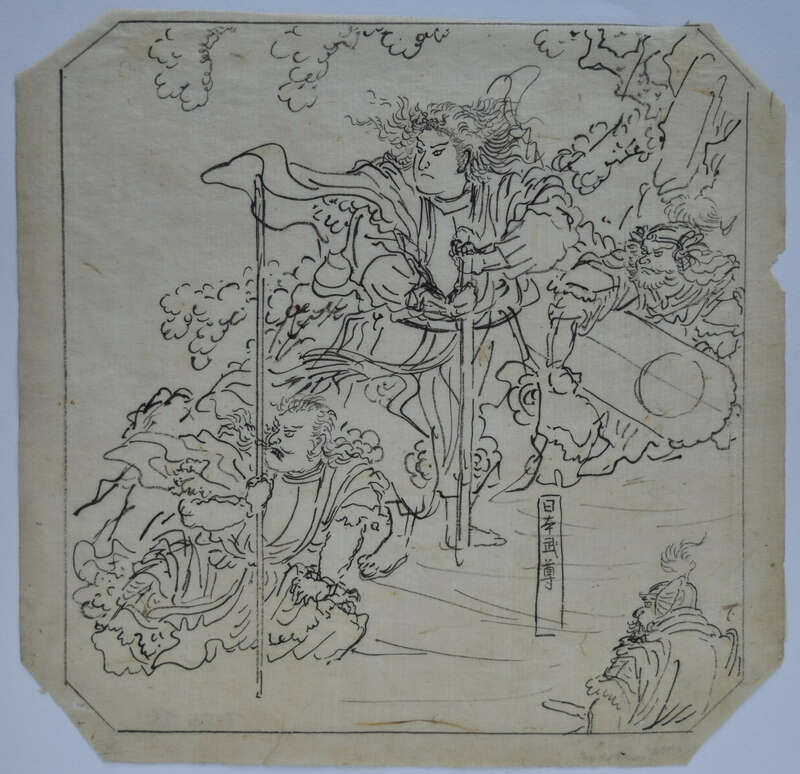 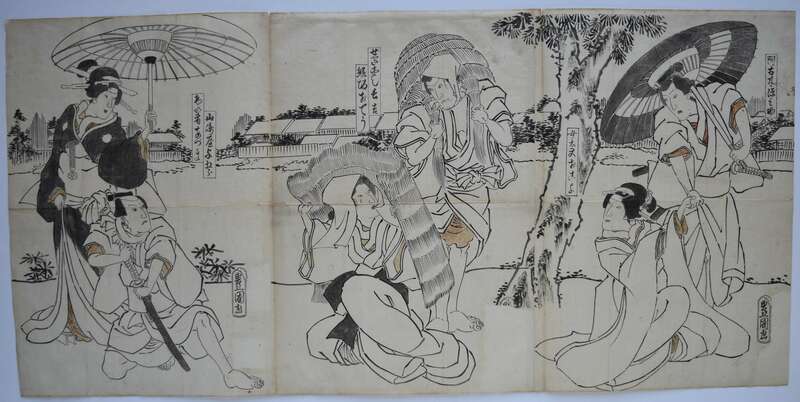 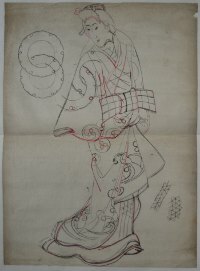 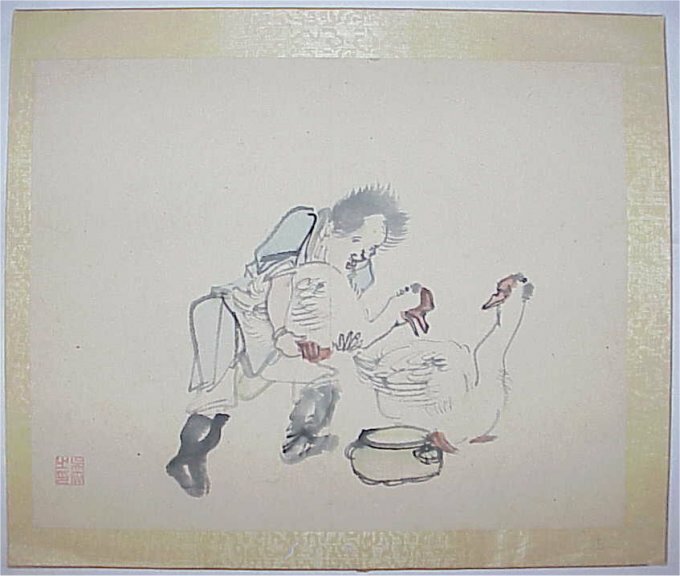 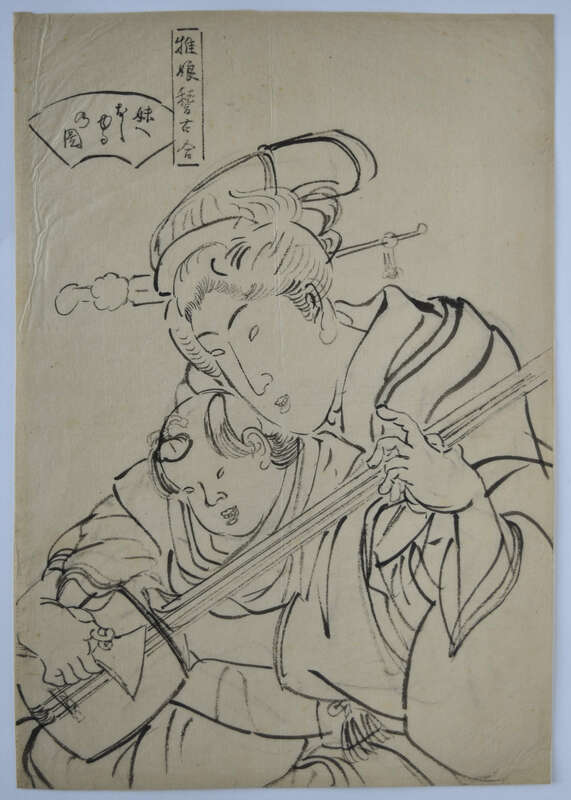 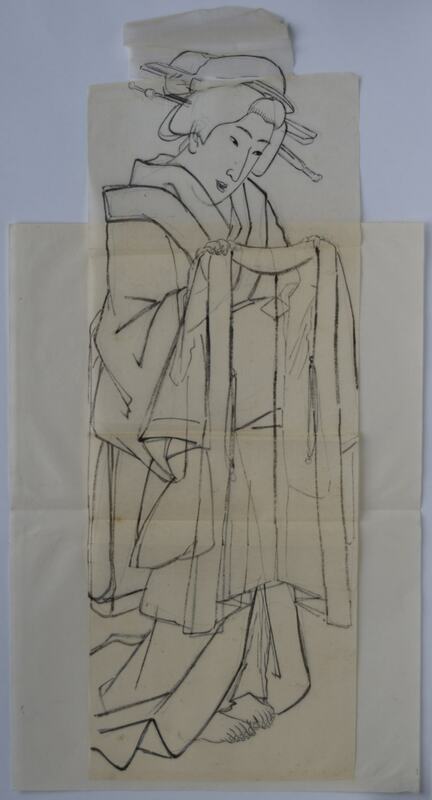 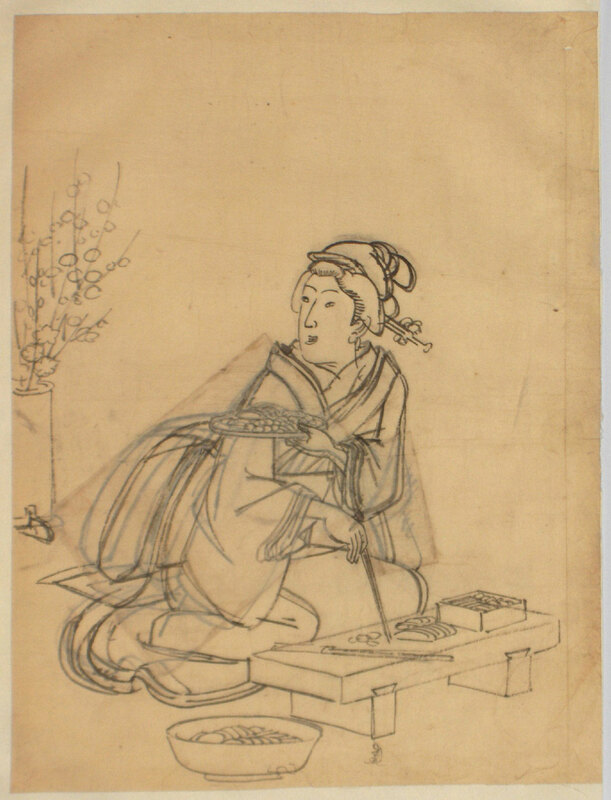 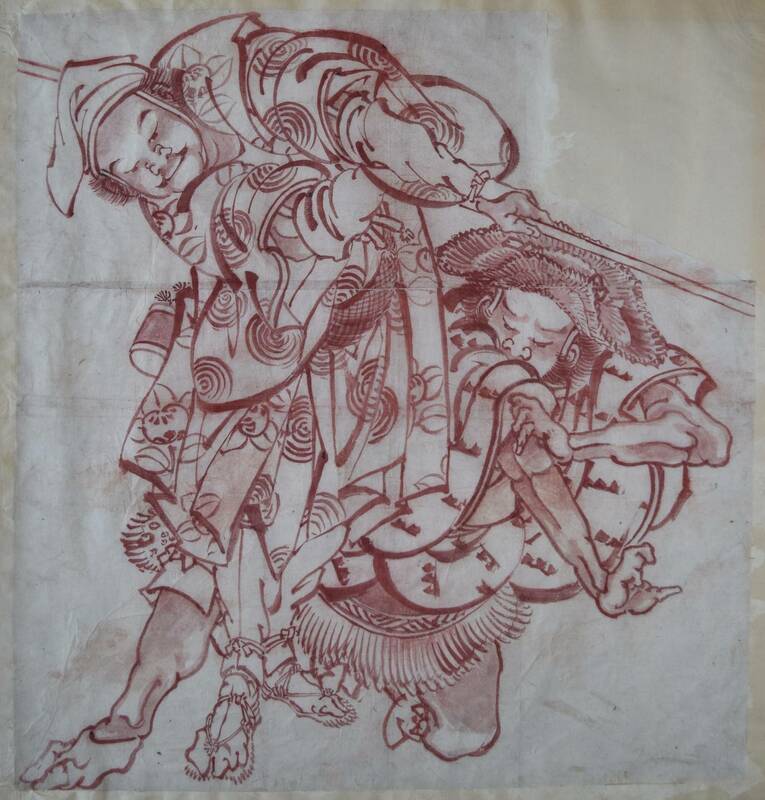 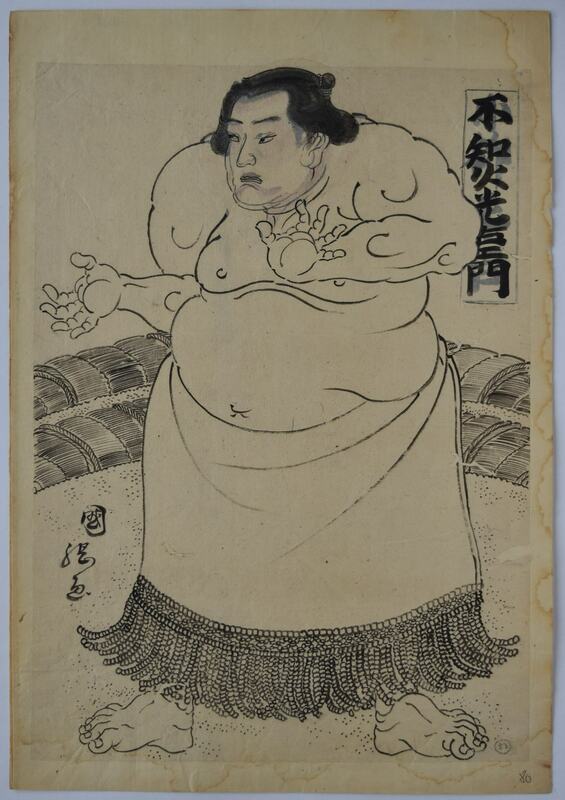 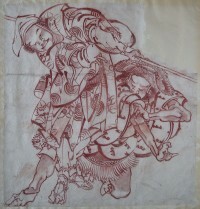 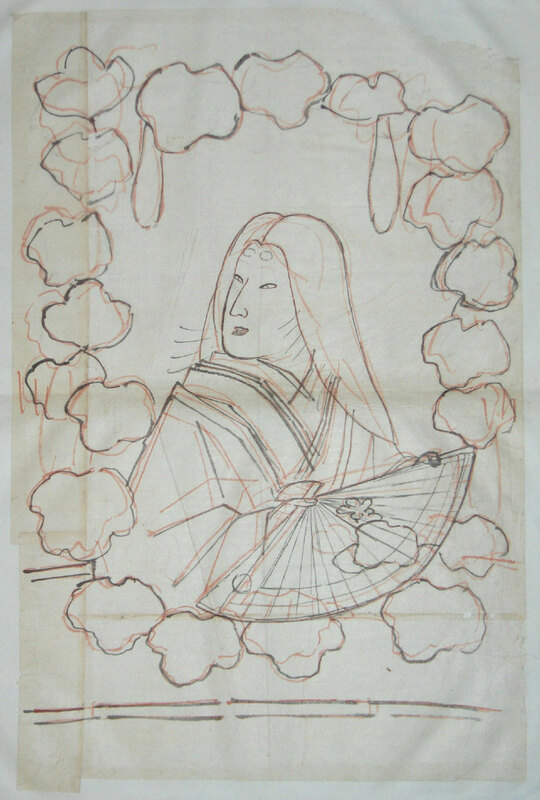 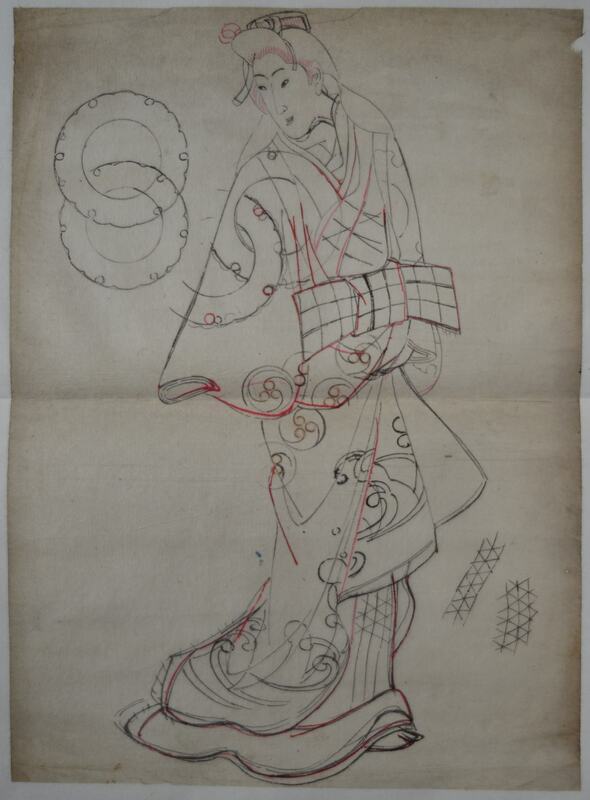 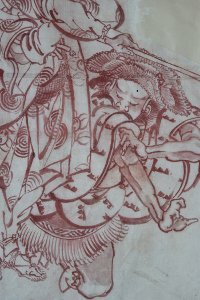 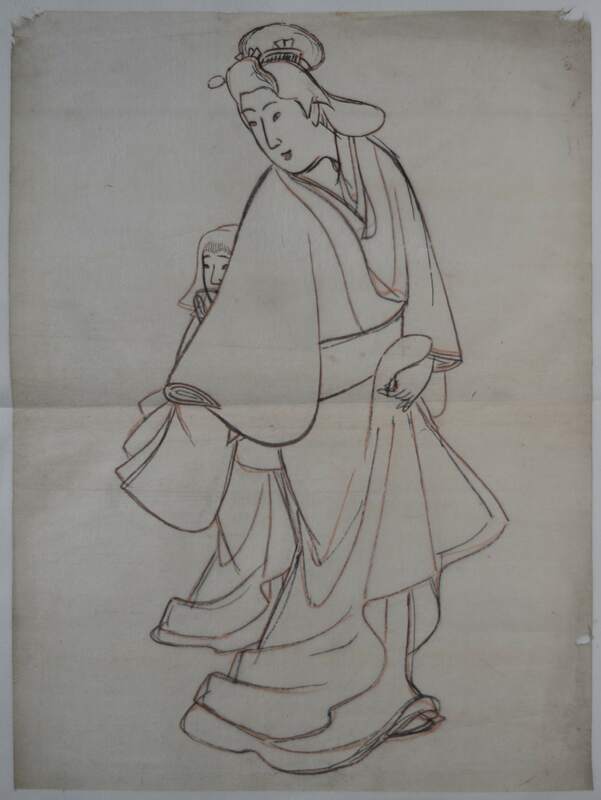 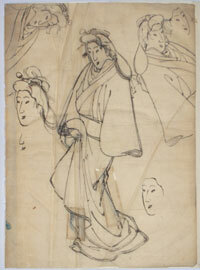 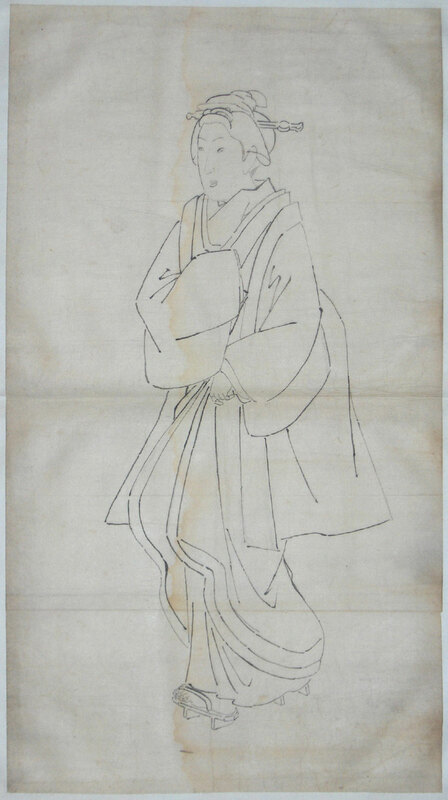 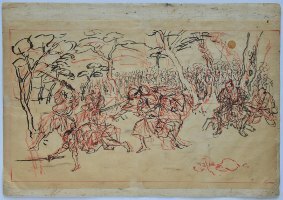 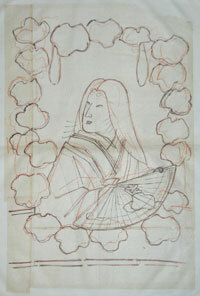 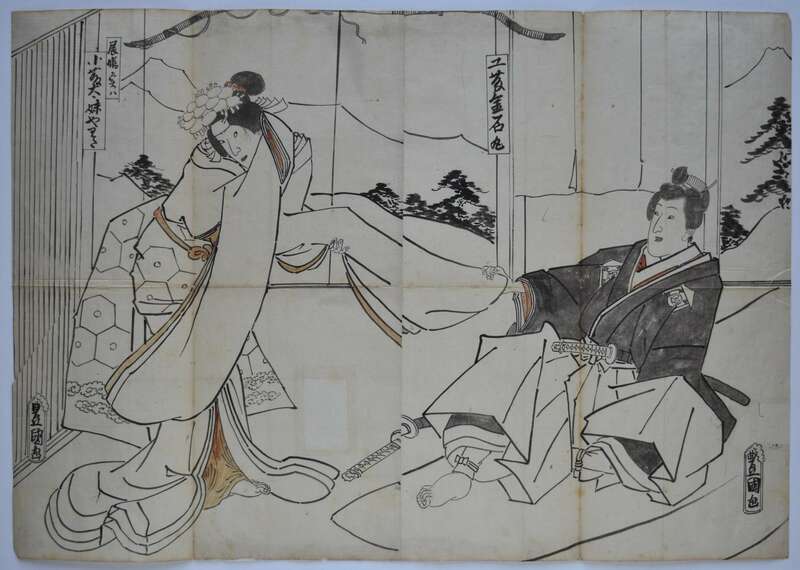 A preliminary brush drawing for a print laid onto Japanese paper showing a full length portrait of the sumo wrestler Fujibi Mitsuemon. Originally a drawing of another wrestler was made and altered with pentimenti to show Mitsuemon. 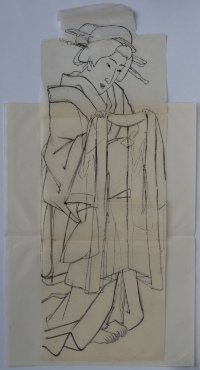 13.25 x 9.5 in; 33.6 x 24.2 cms. 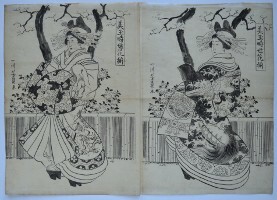 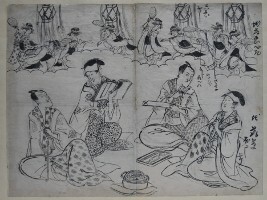 Signed Kunitsuna ga. 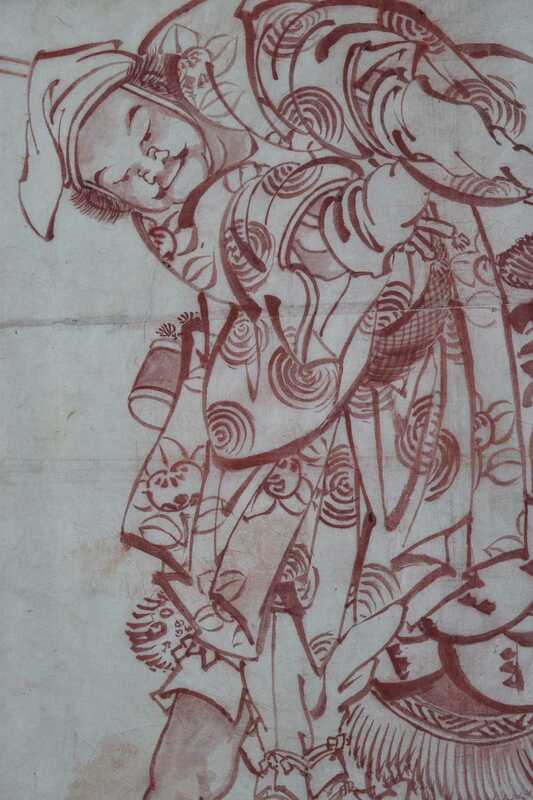 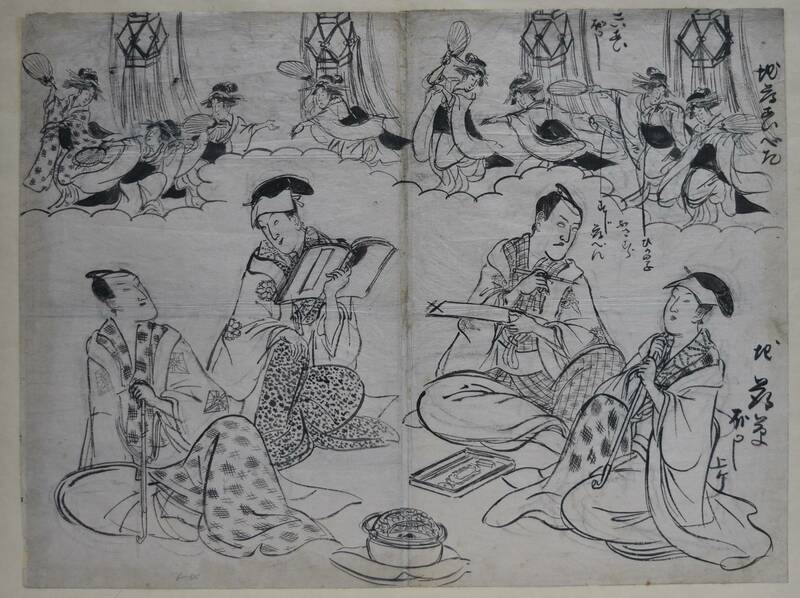 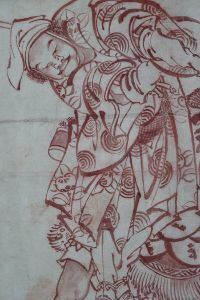 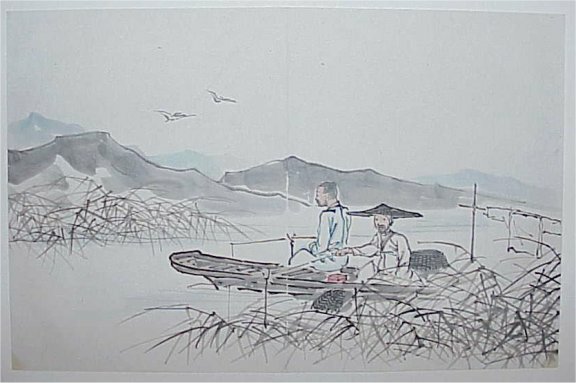 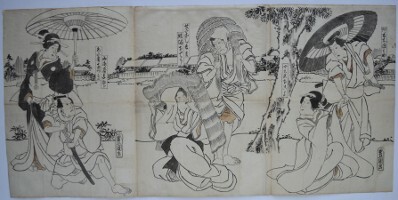 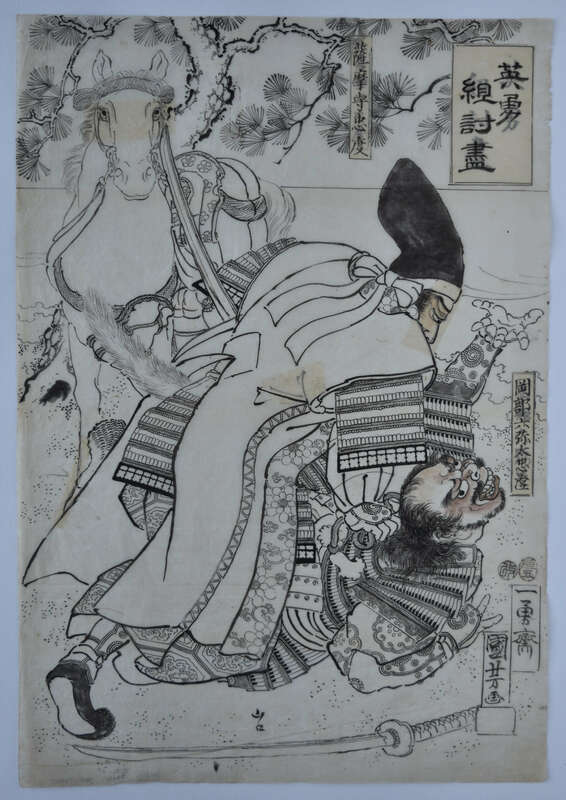 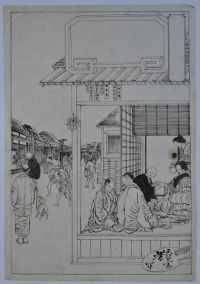 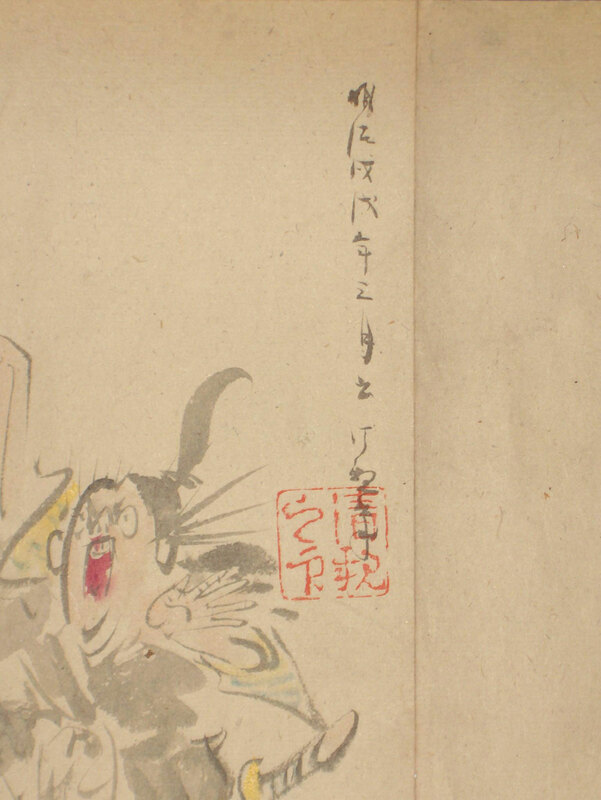 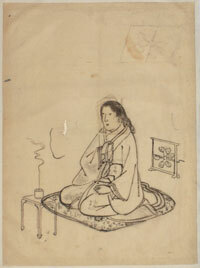 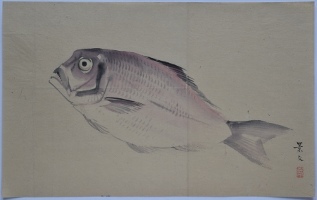 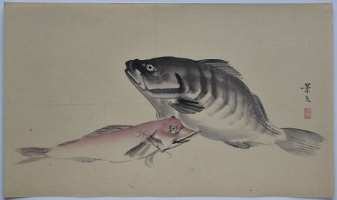 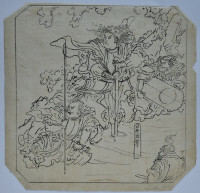 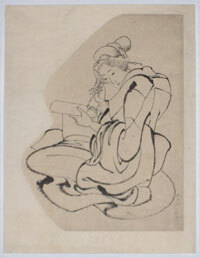 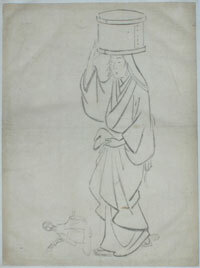 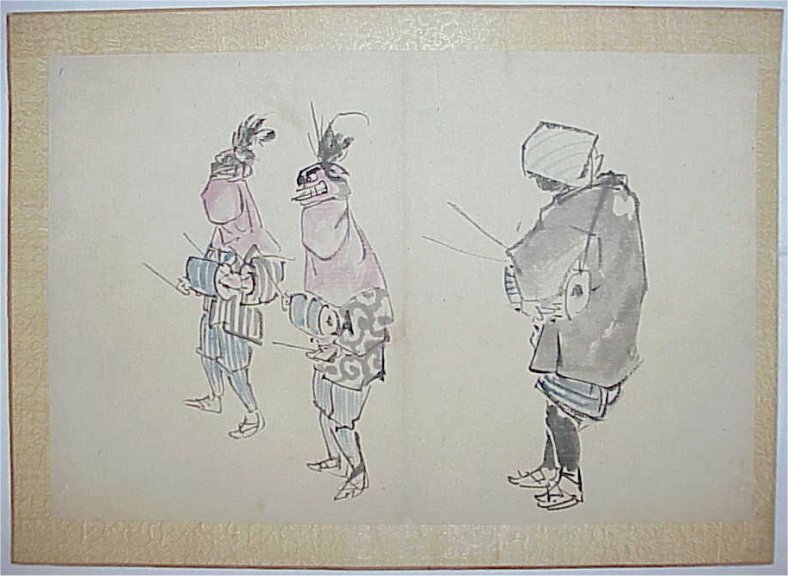 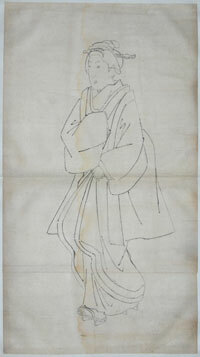 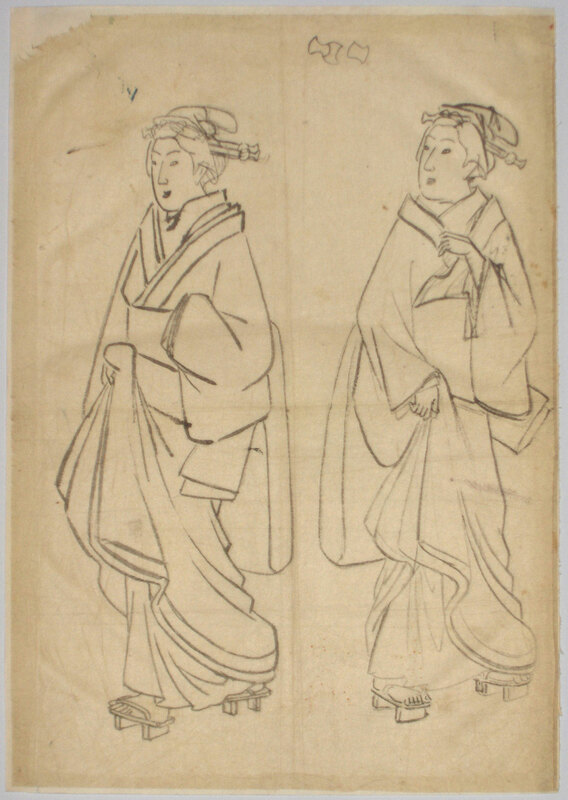 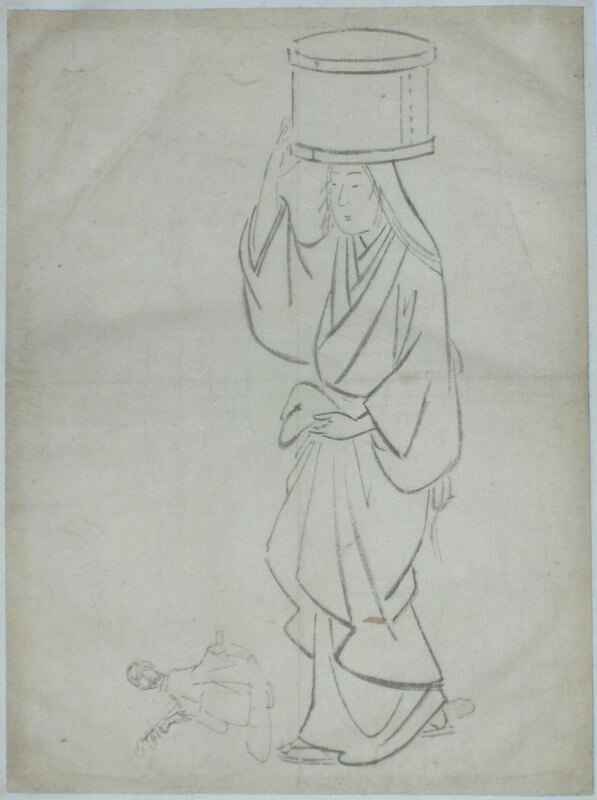 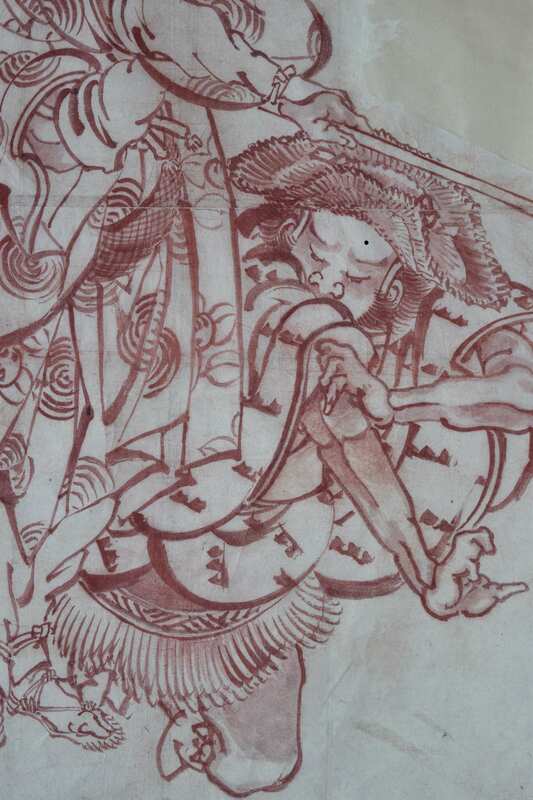 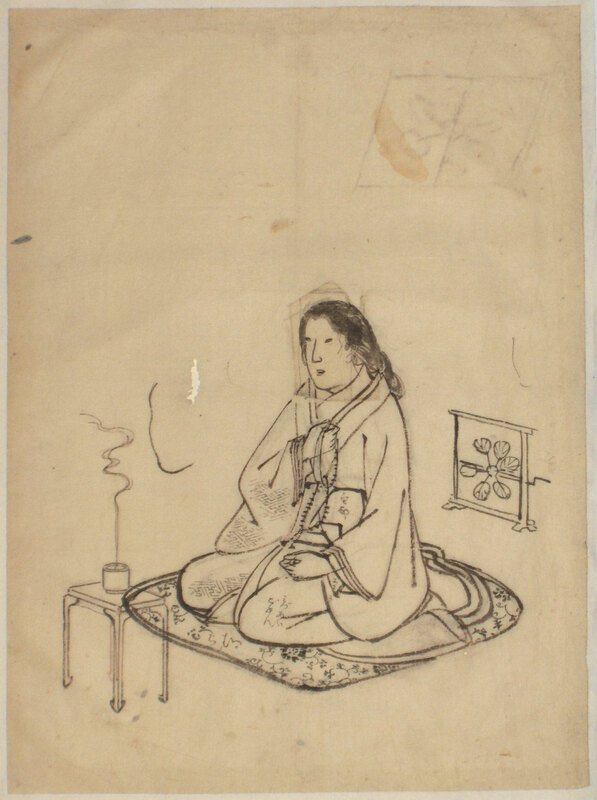 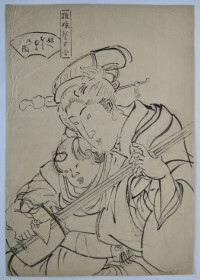 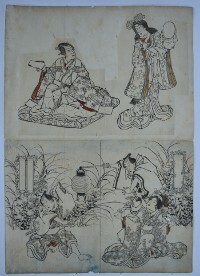 He was a pupil of Toyokuni. 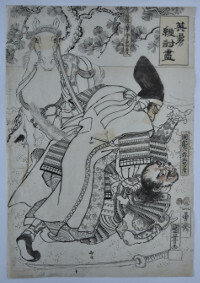 Purchased from me in 1975. 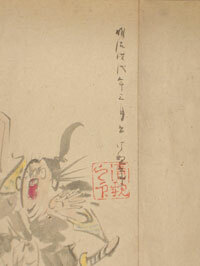 Sold “as is” with all imperfections.